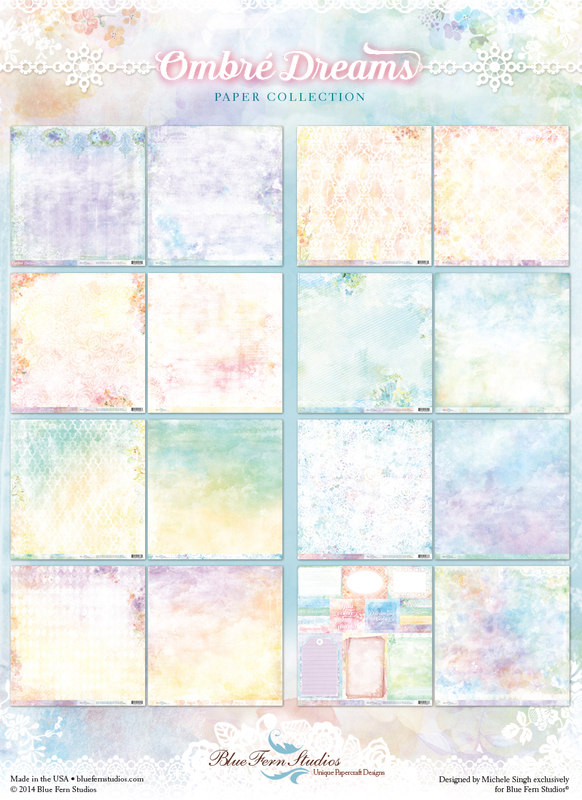 Erin Blegen: My Scrap Cabin: Blue Fern Studios "Ombre Dreams" GIVEAWAY! Webster's Pages: Growing Up Girl! Blue Fern Studios "Ombre Dreams" GIVEAWAY! May Sketch Challenge @ Blue Fern Studios! Today over at the Blue Fern Studios blog, there's a full reveal of their latest paper collection "Ombré Dreams", and a GIVEAWAY going on! If you haven't yet seen this gorgeous new range, here's a peek!